The solid walnut drawers of this shaker style low boy are in vivid contrast to its tigered maple casing. The warm walnut top sets off the figured grain within the paneled maple ends. 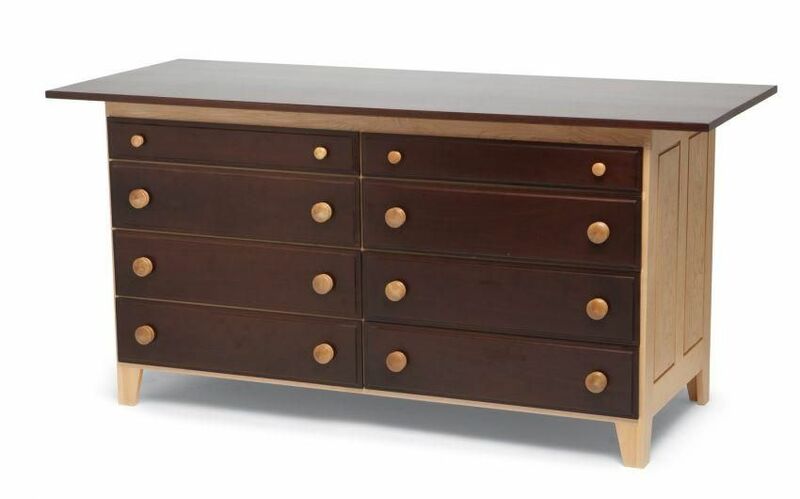 The versatility of this piece makes it a comfortable addition to your bedroom or living room.